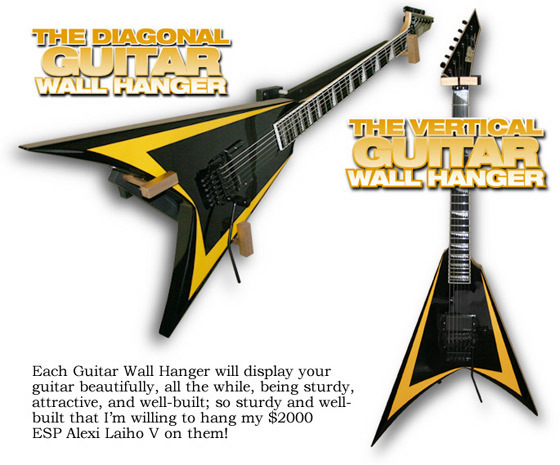 Paint Your Own Hot Rod | Welcome To Paint Your Own Guitar! HOW TO Paint & Wire Your Very Own HOT ROD! 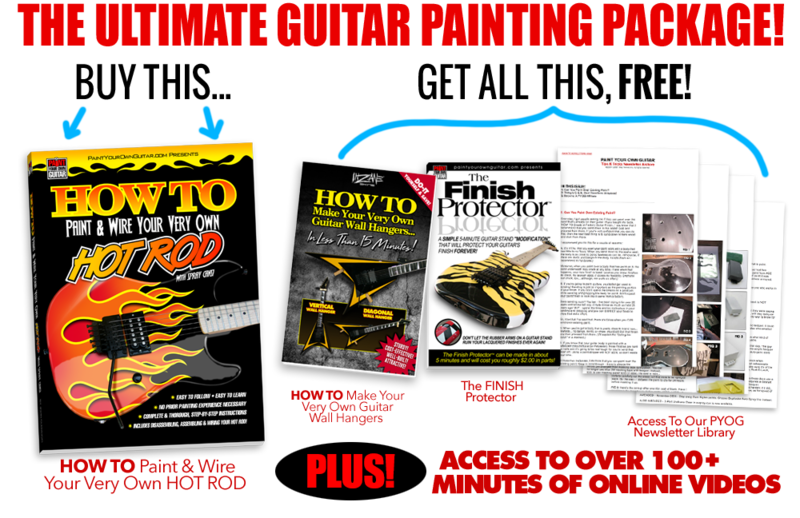 PAINT YOUR OWN GUITAR’s, ‘HOW TO Paint Your Very Own HOT ROD’ was written to teach you the PROPER way to paint a guitar with flames, and to reduce, and even ELIMINATE, the learning curve. If you’re a fan of ‘HOT ROD’ Flames – the kind you’d find on an old Ford or Chevy, then ‘HOW TO Paint Your Very Own HOT ROD‘ makes it a breeze to learn – without any prior painting experience. 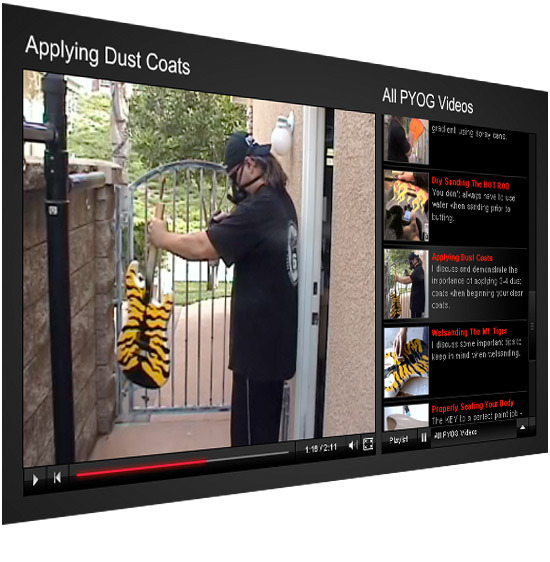 Using our method, you’ll be able to create just about any flame design you want! 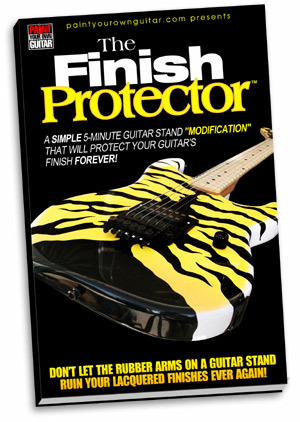 The Paint Your Own Guitar Step-By-Step System takes ALL of the mystery and guesswork out of achieving what you never thought was possible. No stoned has been left unturned. HOT ROD flames are COOL – whether they’re on an old Ford or Chevy… or they’re on a guitar! So, if you’re a fan of flames, you will LOVE this e-book! We take you step-by-step through the ENTIRE prepping and painting process, and teach you everything you need to know to paint KILLER Hot Rod flames! 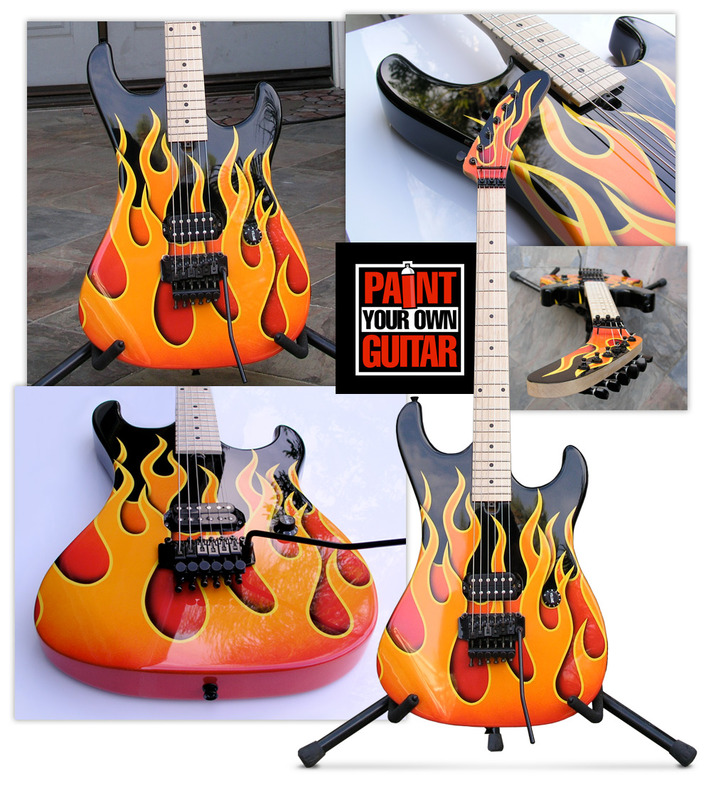 HOW TO Paint & Wire Your Very Own HOT ROD features a design containing two layers of flames – something that’s very tricky to do – but thanks to PAINT YOUR OWN GUITAR, we show you the EASIEST way to pull off this design. We even supply you with several different flame templates to use, so your HOT ROD’s design can be totally unique. Finally, the book teaches you how to achieve a factory finish so thick and glossy, your friends will never believe you actually did it WITH SPRAY CANS! All you need to do is follow along – you’ll be amazed at what YOU can do! 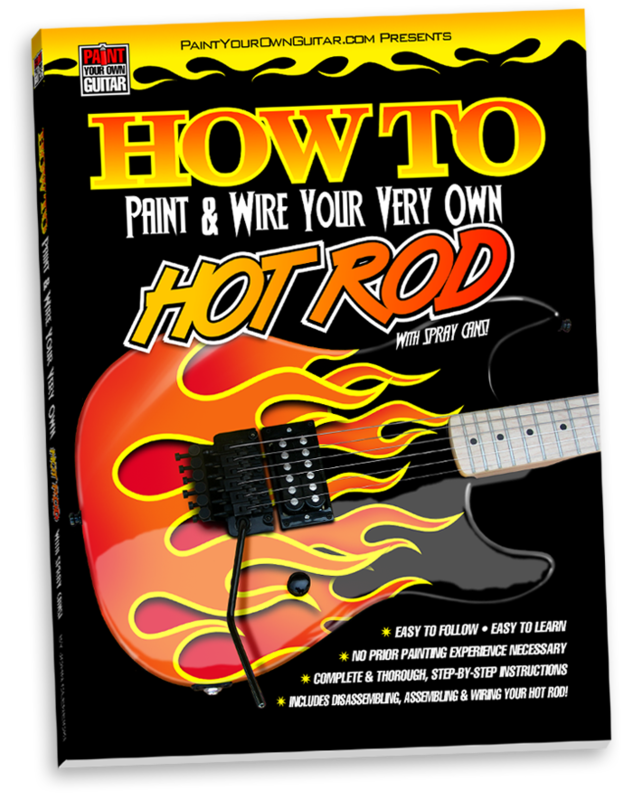 This one book alone teaches you how to properly paint your own guitar, create a KILLER Hot Rod flame design, assemble your guitar, disassemble it, and wire it! Over 230 full-color photos and illustrations detailing the designing and painting of a Hot Rod flame design. 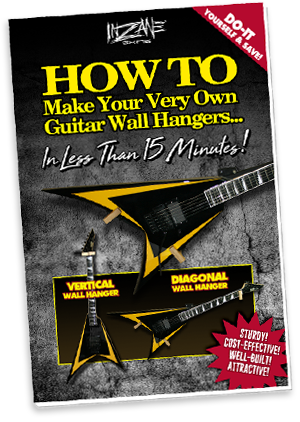 Over 180 POWER-PACKED pages of rock-solid content… and not a paragraph of filler or fluff. P.S. Remember you get access to over 100+ minutes of online video clips FREE when you order ‘HOW TO Paint & Wire Your Very Own HOT ROD’ today.